WattCon returns this October and we're expanding the event into two full days of programming in the heart of NYC! Join us at the New York Marriott Marquis Hotel in Times Square on October 27th and 28th to celebrate stories and the people who tell them. Wherever you're at in your journey as a writer, you'll come away with inspiration, mentorship, and a renewed passion for your craft. Want to help us make our WattCon programming relevant to you? Tell us in the comments about your biggest challenge as a writer. 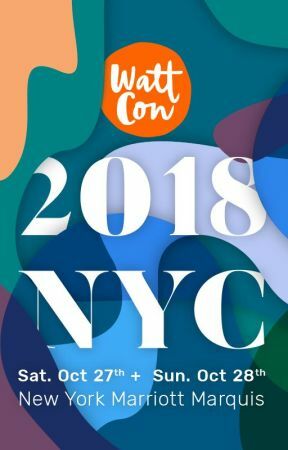 Your one-stop-shop for all things WattCon 2018 on Wattpad!